I think eyeshadows are slightly addictive. I mean, who am I kidding, makeup in general is addictive - but there's something about eyeshadow and when you start wearing it on a regular basis, you kind of don't want to go without it. That being said, I've managed to keep my eyeshadow collection in check and I don't have TOO many lying around, and those that I do have are in palette form. I only own two single eyeshadows, and they're both from Rimmel. I'm generally not a huge fan of drugstore eyeshadows as the formulas can be very chalky and hard to work with, especially if you're a n00b like me, however I find the Rimmel ones to be quite good, especially if you're just starting out. Rimmel's Smokey Quartz (£4.49) was one of the first eyeshadows I ever bought, and it's still one I use regularly. It's a beautiful bronze with a taupe shimmer running through it that's perfect for everyday. 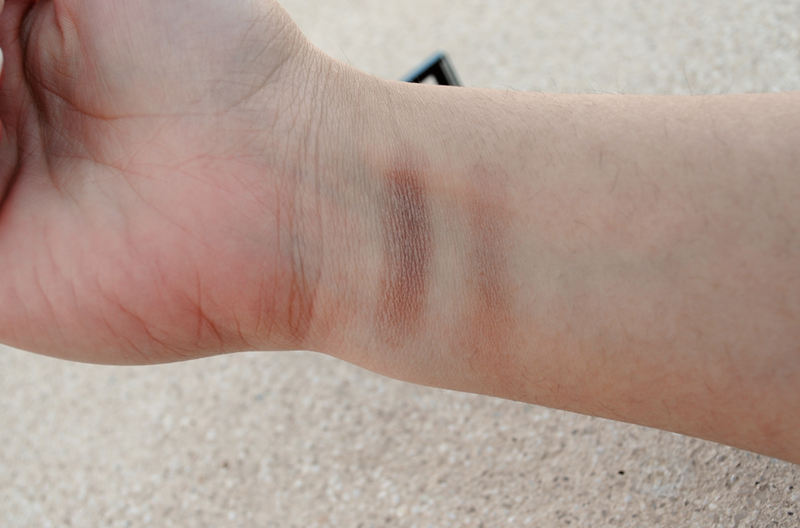 The shimmer isn't too chunky, and I think the color will look great on both warmer and cooler skin tones. I also find that it's one of those eyeshadows that kind changes color a bit as you blend it, so I don't need to add anything in the crease as it defines itself. I love using this when I don't want to think too much about my eyeshadow but still want something there. I can't wear any eyeshadows (at all) without a primer since my eyelids are an oily mess, so I can't attest to it's wear time without, but with a primer it lasts all day on me. I also like to layer it over the Maybelline 24hr color tattoo in Bad to the Bronze/On and On Bronze to add a bit more oomph to the color. Just blend some brown eyeliner into the lashes, add tons of mascara, and there you go a quick and easy eye look.